Twenty-ten is winding down pretty quick. We’re gonna try and pack in as many sweet shows as we can before the year’s up though — so spike your egg nog and spike your friend’s egg nog and get merry. 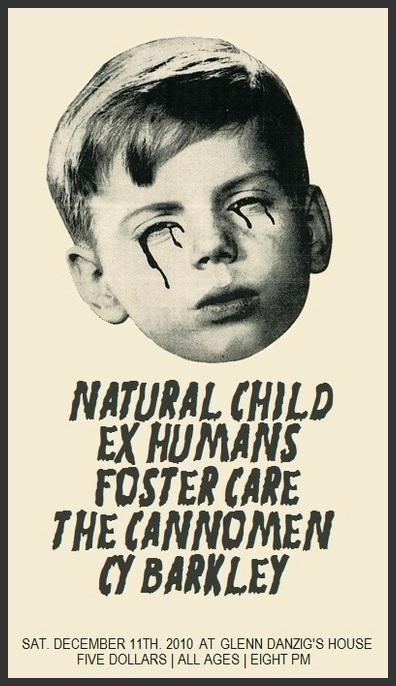 This week’s looking pretty good with a free show tonight [Rock Block] a packed show on Friday night, and our favorites Ex Humans & Foster Care coming to town on Saturday night. Get on it! hey guys the show wednesday at Springwater is Free! Fixed! Thanks, Ben. We love you, Ben.